This renovated home is the popular Tahsis Split-Level plan. Just a few steps between each level, with all bedrooms and main bath on upper level, living area on main, and large family room with roughed-in plumbing for second bathroom in the laundry area. 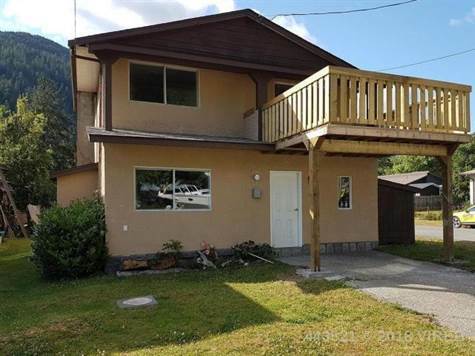 Excellent location, right across from school, close to shopping, and a short walk to the river or the inlet. Marina is nearby.